Williams was destined to be a songwriter’s songwriter, deeply beloved by her peers but unlikely to break terribly far into the mainstream. It was a medical diagnosis (multiple sclerosis) that brought her the most attention, but ended up doing some good for the music world. Her plight—a working musician who nonetheless couldn’t afford to get sick—led to the Sweet Relief Musicians Fund, which provides money for ailing musicians. The foundation launched with the release of Sweet Relief: A Benefit For Victoria Williams, which features some bigger-name artists covering her songs, including Lou Reed, Evan Dando, Soul Asylum, and The Jayhawks. But the most enduring version on the record is Pearl Jam’s “Crazy Mary,” which not coincidentally is one of Williams’ most affecting songs. 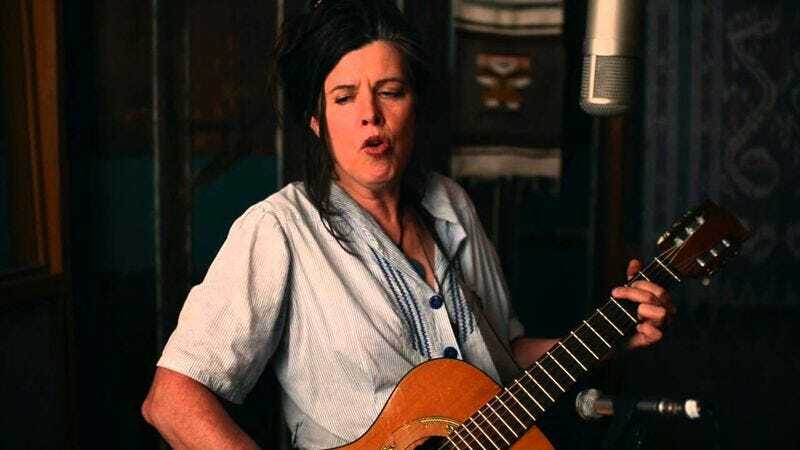 It sounds awfully different when sung in her warbly vibrato versus Eddie Vedder’s baritone, but the sentiment is chilling and powerful when either one sings it: It’s the story of a poor, unhinged woman that the narrator sees on the outskirts of town. Williams paints an incredible picture with just a few words, conjuring a group of itinerants who gather under a sign that she spells out: “No L-O-I-T-E-R-I-N-G A-llowed,” giving extra emphasis to that “A” with clever grace. Things don’t end well for Mary, whose house—and presumably body—are crushed by a car. Williams steps back from the scene for one lyric that chills me every time, too: “That what you fear the most / Could meet you halfway.” It’s fantastic whether delivered by her own voice or the more popular Pearl Jam version.